There are 124 postcode areas in the UK. 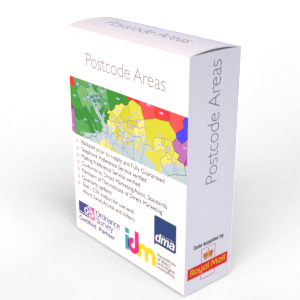 Rather than purchase the full UK file (28 million addresses), why not just purchase the postcode area you want to focus on right now? Each of the individual 124 postcode area files have been taken from the Royal Mail's UK PAF file - this is in itself the definitive most up-to-date and complete address database in the UK. Royal Mail's comprehensive file of over two million business names and addresses. This extensive list is updated by the Government and supplied to customers every three months as part of the annual licence fee. Typical uses of the PAF file include direct mail, door drop distribution, territory management, planning. The text / CSV file is delivered immediately after purchase via a download link and will open in applications like Excel, Access etc. Very new to the market, this list is compiled by professional researchers using the very latest residential and commercial applications for every UK authority. The planning permission mailing lists can be used to offer specific services as the lists are categorised for you, this allows easy identification of the type of planning application. The lists are supplied as a set fee for each planning authority rather than a pence per mailing record. 2,700 Different Business Types Available - We offer over 2.6 million traditional mailing & phone records spanning across the 2,700 business types. Plus all of our businesses lists are guaranteed! There are 192 telephone operators making circa 600,000 validations and updates every quarter and all of the records we sell are validated and certified as trading prior to supply.